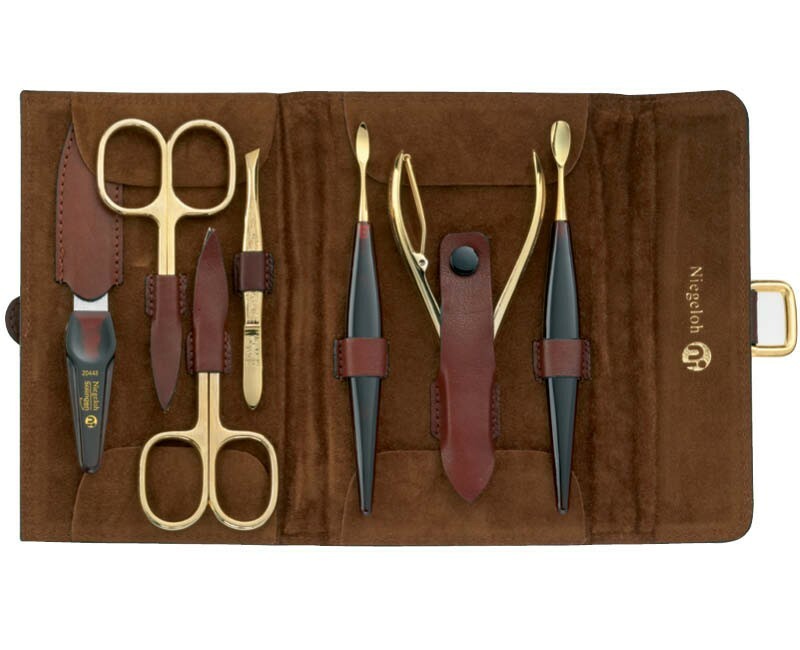 Niegeloh heritage of producing high end manicure sets, translates into every detail of this wonderfully made manicure set ALAMO XL. Crafted in Solingen Germany from special steel with 24 carat gold plating, this set features 7 high quality grooming tools to take care of your fingernails and toenails, with ease and comfort. Superb German performance together with beautiful look, makes this set an outstand gift idea that is sure to impress and last many years of outstanding service. Includes Niegeloh Solingen Gift Box. 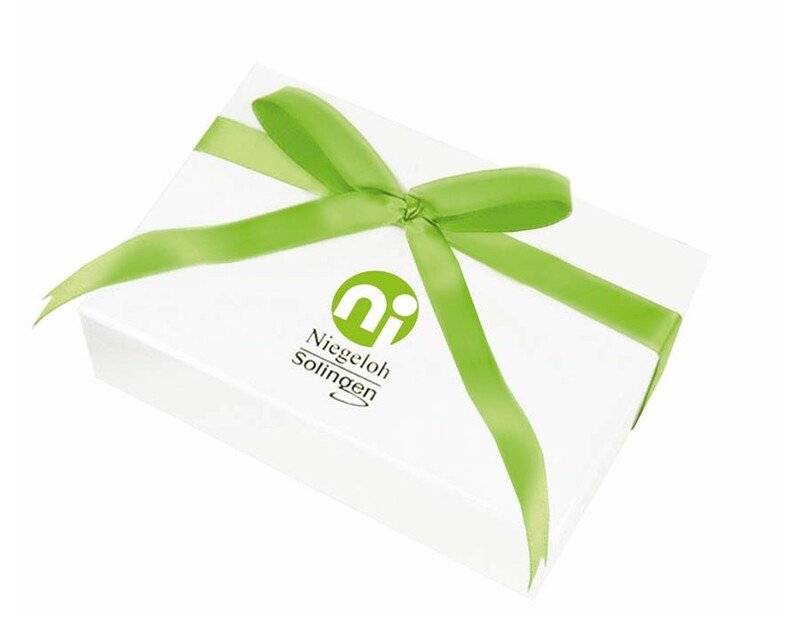 Your special manicure experience starts from the moment you open the Niegeloh Solingen gift box. 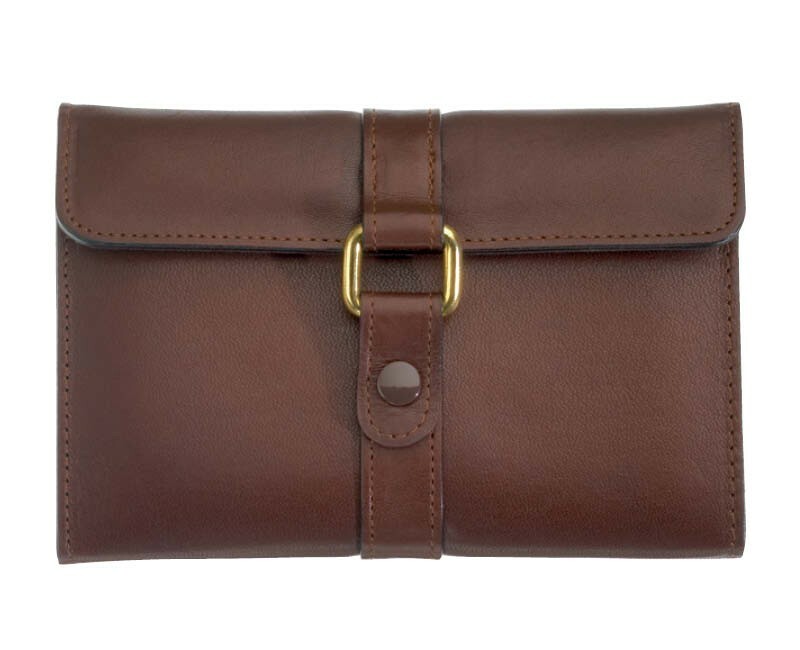 Beautiful case made of genuine leather, secures the nail implements with a press stud so they are always handy in one convenient place. 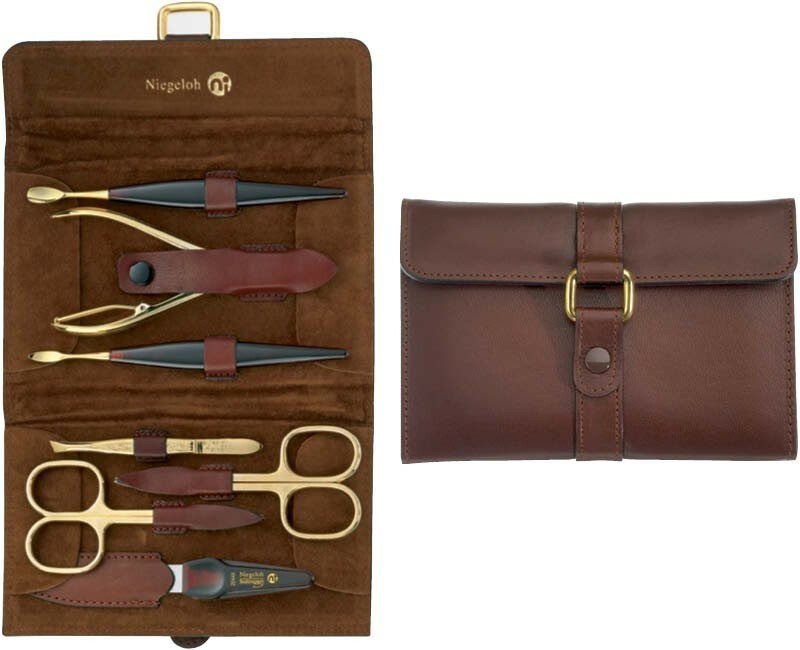 The warm brown colour of the case highlights the exclusivity of the nail implements, hand-crafted of special steel with 24 carat plating for extra durability. The brushed finish adds further style and ensures the grips are non-slip and allow maximum control. Niegeloh puts Quality as the cornerstone of everything they do, and the quality of implements in ALAMO XL is unquestionable. Manually tested to meet Solingen engineering requirements, each implement is guaranteed to perform beautifully for a very long time, without tearing or damaging the nail. Safe grinding process ensures the blades have lasting sharpness, even with very frequent use. Forget about scissors that go blunt after a few months and don't cut any more. ALAMO XL offers you truly amazing nail care experience, thanks to undoubtedly high quality manicure tools. Thanks to its universal design, ALAMO XL manicure set is ideal for both men and women – adding luxury and professional style to your next manicure. Manufactured by Niegeloh in Solingen Germany. Tradition since 1936. Great manicure set. High Quality. Great seller. What a stunner! My wife loved it so did my toenails :)) Thanks Julie. Received it in 2days.